WWW Wednesday is a book meme hosted by Taking on a World of Words. This meme involves answering three questions. What a re you currently reading? I’m currently reading Those Above by Daniel Polansky. I’m only little bit through and I’m not sure if I’m enjoying it. At the beginning one of the characters made a joke that made me really uncomfortable but I’m trying not to let that ruin the book for me. There’s also a lot of world building which can be quite confusing but hopefully I’ll enjoy it! 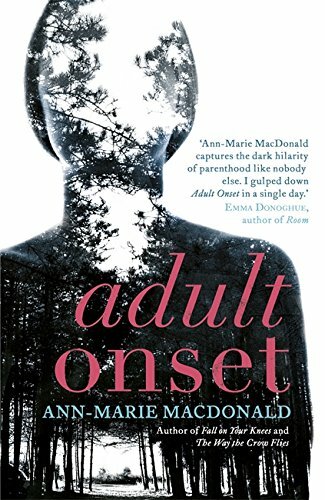 I recently read Adult Onset by Ann-Marie MacDonald as I was sent it for review. I’ll be posting a review soon but for now I’ll say that it’s a really compelling and emotional book that I’d definitely recommend. I’d definitely look it up beforehand as it has a lot of content that may be triggering. 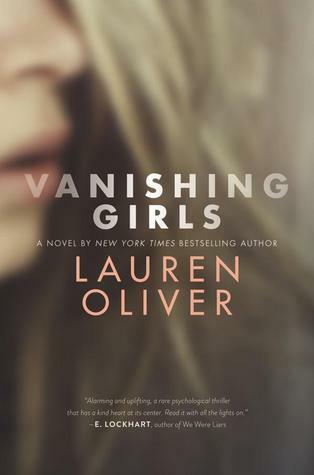 I really want to read Vanishing Girls by Lauren Oliver. I received a copy for review a few weeks ago and I wanted to read it before the release date but didn’t get round to it. I haven’t read a Lauren Oliver book before so I’m excited to see what I think as a lot of people seem to love her work. Recently read Dreamers Pool by Juliet Marillier – which was excellent. And now reading Voyage of the Basilisk by Marie Brennan – which is also very good. That sounds perfect, since I won’t be having much time to read or blog the next few days anyway. I haven’t read Lauren Oliver before either. I’d be interested to know what you think! Thanks for participating in WWW Wednesday and don’t forget to link up! Have a good week and happy reading.